Torild Wardenær had her debut in 1994 with the poetry collection In the Pioneer Time which has been followed by eight notable collections, including psi (2007), While the Higgs Boson Gnaws (2011), Password: Chairos (2013) and Unfolding (Forløp) (2016) . 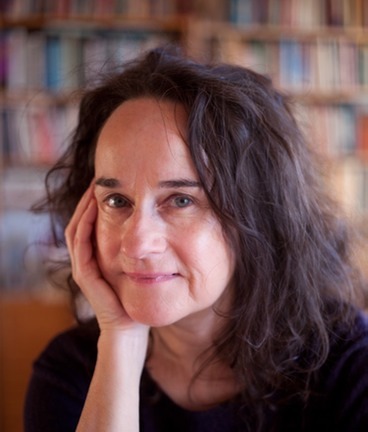 She has won several prizes for her poetry, among them a debut prize from the publisher Aschehoug in 1994, 'The Herman Wildenvey Poetry Award' in 1997 and 'The Mads Wiel Nygaard's Endowement' from 1997 (The prize is a recognition of superior literary work from the publishing house Aschehoug.) In 1998 she won 'The Haldis Moren Vesaas Award' for The Drift of Days and Nights (awarded annually to a Norwegian which through the quality and magnitude of the work has established a significant voice in Norwegian poetry.) Her collections zero point two lux (1995) and psi (2007) were nominated for the 'Brage Prize' (considered to be one of the major literature prizes annualy awarded in Norway). In 2014 she received the prestigious Dobloug Prize from the Swedish Academy. She was awarded a grant for one year from 'Der Bayerische Staatsminister für Bildung und Kultus, Wissenschaft und Kunst', at Internationales Künstlerhaus Villa Concordia, Bamberg, Germany (2015-2016). Her literary production includes drama, essays and fiction for adults and children. In 2000, she published an extensive volume of translations of the American poet James Tate: The Shroud of the Gnome and Other Poems. She has collaborated interdisciplinary with musicians and visual artists. Among them a collaboration with international artists on 'Horizons and Fragments', a landscape art project project funded by 'Stavanger 2008 European Cultural City' in Norway.